Tonya McDowell, 34, given 12 year sentence suspended after five years served and five years probation for falsifying documents to get her child in school. The zoning laws that are in place aim to keep children in their rightful school seats where no one can take them away. But in scenarios where students end up in the wrong zone either from a parent knowingly using the wrong address or from someone living with another to get their child in their district’s school, lawmakers translate that into theft. At that point, the child’s parent is stealing another child’s seat from them…and the price is steep if you get caught. Like her predecessor Kelly Williams Bolar, who we reported being jailed for falsifying documents to get her children into a school in a better district in Ohio, Tonya McDowell, 34, now faces five years in prison for the same offense. The McDowell case is a little different though because there were drug sells involved. Bolar was incarcerated for 10 days and put on three years probation for the crime of trying to get her children a better education in Norwalk, Conn. instead of Bridgeport. McDowell has several other factors against her. She was homeless, using her babysitter’s address and selling dope. They threw the bookshelf at her. The actual sentence is for 12 years in prison, suspended after she serves five years and another five years probation, according to Your Black World. Do you feel that there really should be a fundamental change in the zoning laws or do you believe they are right to send them to jail for this offense? Prison sentences are too much. 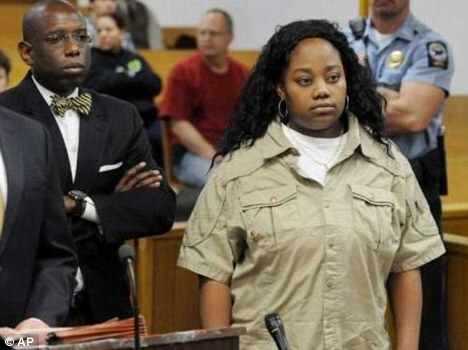 In Bolar’s case, she was studying to be a teacher and now she cannot ever teach children because of this felony charge. Travesty or justice? Read more here.